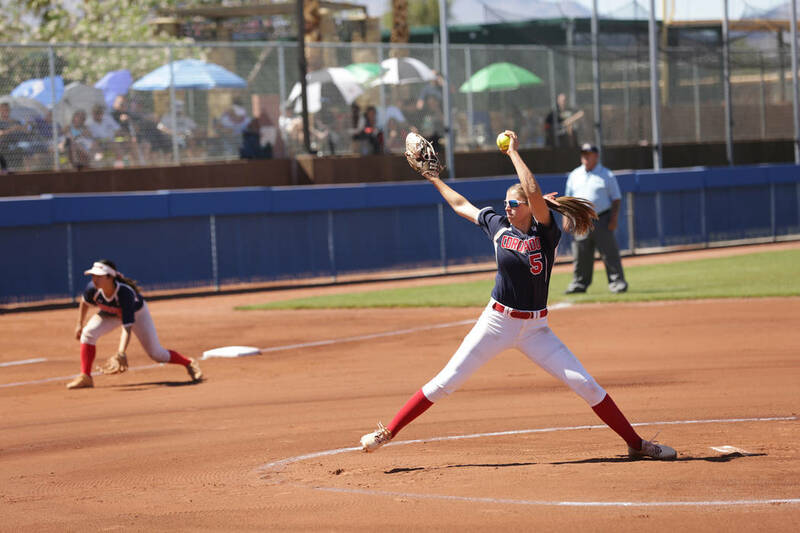 Coronado senior Tatum Spangler was named the 2017-18 Gatorade Nevada Softball Player of the Year, the company announced Monday. Spangler was the Sunrise Region Pitcher of the Year after posting a 1.06 ERA and 172 strikeouts in 105 2/3 innings. At the plate she batted .625 with 10 homers, 52 RBIs, and a Southern-Nevada-best 68 runs and 27 doubles. She walked 23 times with only five strikeouts and stole 16 bases. Spangler led the Cougars to a 26-10 record and a Class 4A Sunrise League regular season title. She pitched nine shutout innings with 14 strikeouts in the postseason before she left the region title game with an arm injury. She is committed to Kentucky. Spangler becomes the second Southern Nevada softball player in the last three years to win the award, joining Rancho’s Sam Pochop in 2016. Reed’s Julia Jensen won in 2017 and 2015.